The latest Android Pie-based OxygenOS 9.0.7 is being released in phases and so initially, it will be available in select regions for OnePlus 6T owners. 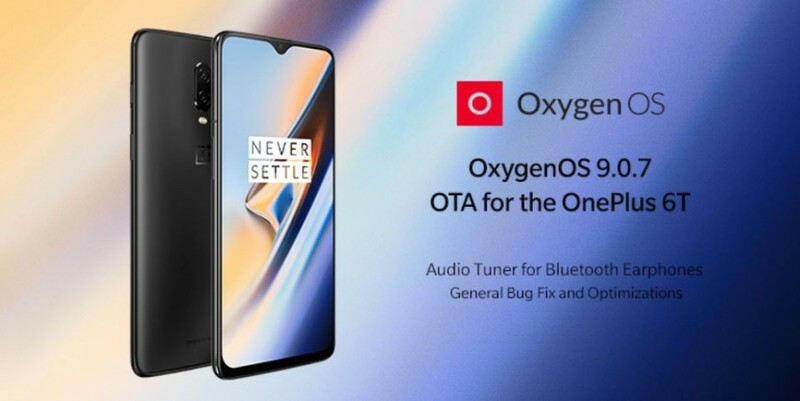 OnePlus has released an incremental OxygenOS software update to the company's latest flagship smartphone OnePlus 6T. The latest Android Pie-based OxygenOS 9.0.7 is being released in phases and so initially, it will be available in select regions for OnePlus 6T owners, but eventually expanded to all corners of the world by this weekend. The new firmware will help extend battery life, audio quality improvements and lots of performance optimisations to improve user-experience of OnePlus 6T. "We appreciate your active feedback and attempts to reach out to us. With your help, we have been able to better optimize and improve several key areas. Thank you for your patience and as always, we look forward to hearing your continued feedback in the bug reporting forum here," Manu J, Global Product, Operations Manager, OnePlus said in a statement. 1. Once you get an update notification on your screen, select "Yes, I'm in." 2. After the software is downloaded, select "Install now." Also, device owners can check for updates manually by going to Settings >> About Phone >> System Updates >> Check for the new firmware. Stay tuned. Follow us @IBTimesIN_Tech on Twitter and on Google News for latest updates on OnePlus and Google.